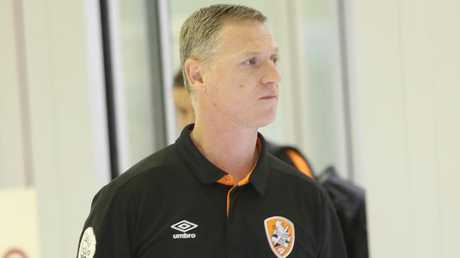 FOOTBALL: Brisbane Roar chairman Rahim Soekasah has arrived in Queensland, with the struggling three-time A-League champions battling to steady their ship on and off the field. Rocked by the resignation of football director Craig Moore earlier this week, the Roar continue to stumble from one crisis to the next in what has been a horror season for the club. Moore, who will remain at the Roar for another two months, crossed paths with Jakarta-based Soekasah on Wednesday but it's understood the chairman's greeting was anything but warm after revelations that the Socceroos stalwart had quit the club because of his frustrations with the owners, Indonesian conglomerate the Bakrie Group. 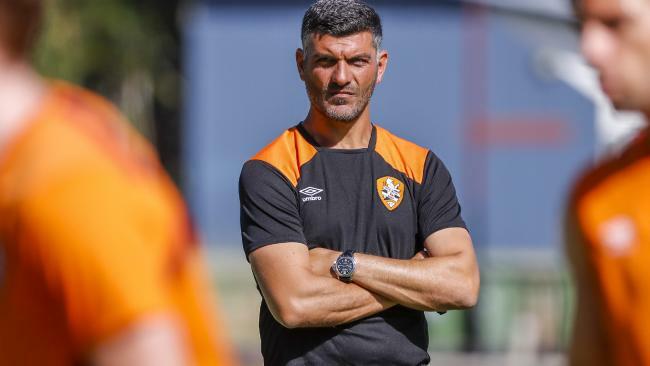 Coach John Aloisi, who continues to have the full backing of the Roar board despite Brisbane's poor season, is set to meet with Soekasah and managing director David Pourre to thrash out plans for a potential restructure of the club's football department. There is no guarantee the club will hire a new football director as they seek ways to develop their operations. Craig Moore. Photo: Jono Searle. "We can always improve as a football club and it has been no secret that we've had a difficult situation," Aloisi said. "The club have shown what they want in the future, what they're trying to do in the future, and I'm part of it. "We're always in discussions and trying to improve … trying to get better." The Roar can start "getting better" by beating fellow strugglers Perth Glory at Suncorp Stadium on Thursday. Both teams are out to end losing streaks. The Roar have been beaten three times on the trot, while the Glory have lost four in a row. With 11 rounds of the regular season remaining, Aloisi said this match was the first of "11 finals" for his side. "As a club and as a team we need to show what character we've got when there's difficult times," he said. Aloisi said his players had been driving the "finals" message this week at training. "They are desperate to win … I'm just guiding it," he said. Among those desperate players is returning playmaker Brett Holman. 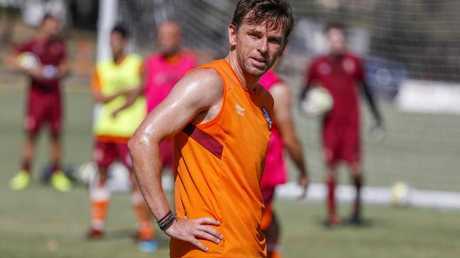 The 33-year-old former Socceroos star has not played since suffering a calf injury in the Roar's 3-1 loss to Sydney FC on November 25. Holman will come off the bench. Attacking weapon Corey Gameiro (groin) and left back Corey Brown (virus) are also set to return. The Roar have received formal notification from Melbourne Victory of their interest in signing Brown for next season. Rumours that in-form goalkeeper Jamie Young - another one of the 17 Brisbane players off contract - could leave the Roar have been dispelled by club sources. Young is tipped to re-sign with the Roar, but 36-year-old custodian Michael Theo - currently sidelined with a finger injury - isn't expected to be offered a new deal.